Vol. 9. nº 2 Julio, 2014. The inluence of homework on student performance has been widely investigated for the different educational levels, although there is no a unanimous position on the role of this construct in the academic performance. The main goal of the present research was to analyze the relationship between homework and academic performance in mathematics. The sample was made up of 7471 primary school students, with a mean age of 9,9 and standard deviation of 0,41; 47,8% were women, and 92,3% had Spanish nationality. A two-level hierarchical-linear analysis was performed: student and class. At the individual level three variables were evaluated: time spent doing homework, effort, and the way homework was done. At the class level two variables have been considered: the amount of homework carried out, and the assignment frequency of homework. In addition, three individual adjustment variables were taken into account: gender, socioeconomic and cultural level, and prior knowledge. The results show that the most inluential homework variables are the autonomy of the students when doing the homework, and the frequency of homework assignment by teachers. Furthermore the results conirm the importance of studying the relationship between homework and academic performance using a multilevel approach, and taking into account the adjustment variables. La inluencia de las tareas escolares en el hogar o deberes sobre el rendimiento de los estudiantes ha sido ampliamente investigada para los distintos niveles educativos, si bien no existe una posición unánime sobre el papel de este constructo en el rendimiento escolar. En el presente trabajo se analizó la relación entre la realización de las tareas escolares en el hogar y el rendimiento en matemáticas. La muestra está compuesta por 7471 estudiantes de cuarto curso de educación primaria. La edad media es de 9,9 años y la desviación típica de las edades 0,41. El 47,8% son niñas, y el 92,3% tiene nacionalidad española. Se utilizó un análisis jerárquico-lineal de dos niveles: alumnado y aula. A nivel individual se evaluaron las siguientes variables: tiempo invertido, esfuerzo empleado y modo en que se realizan los deberes. A nivel de aula las variables tomadas en consideración fueron: la cantidad de tareas escolares, y la frecuencia de asignación de las mismas por parte del profesorado. Se incluyeron además tres variables de ajuste individual: género, nivel socioeconómico y cultural y rendimiento previo. Las variables relativas a los deberes con mayor inluencia en los resultados son la realización autónoma de los deberes escolares por parte del alumnado, y la frecuencia de asignación de las tareas por parte del profesorado. Los resultados conirman la importancia de estudiar la relación entre los deberes y el rendimiento escolar mediante metodología multinivel, teniendo en cuenta variables de ajuste. There is a heated debate about whether or not to ask homework to students in Primary education. This article seeks to determine the impact of homework on academic achievement of students and identify which features contribute most to its effectiveness. To achieve our goals, we conduct two parallel studies with data from 5,603 students from 9 countries and 95.053 students from 16 countries in Latin America, To collect the data we use standardized tests, questionaries and tests for teachers, students, families and principals of the schools. The results conirm that homework beneits cognitive development of the student (Reading and Mathematics achievement) and socio-affective achievement (self-concept and satisfaction at school); but not any task, those that the teacher use in the classroom. Although more is not always better, the results of past research show that doing homework is good for learning and academic achievement. One of the questions currently that has been brought up most in this context is what makes students do more and better their homework. The main objective of the present paper is to analyze the predictive capacity of each variable related to motivation and implication for homework on the amount of them which are done by students. The study involved 899 Compulsory Secondary Education students. Results from the regression analysis indicate that the more time students spend on homework, the more intrinsically motivated they are and the better motivation management is, the more effective time management is and the less anxiety they show, then the more amount of homework they complete. Aunque no siempre más es mejor, los resultados de la investigación pasada evidencian que hacer deberes escolares es positivo para el aprendizaje y el rendimiento académico. Hoy, una de las cuestiones más planteadas en este campo es qué hace que los alumnos se impliquen más y mejor en la realización de los deberes escolares. El presente trabajo tiene como objetivo fundamental comprobar la capacidad predictiva que tiene cada una de las variables vinculadas con la motivación e implicación en las Tareas para Casa sobre la cantidad de las mismas realizadas por los alumnos. El estudio se realizó en base a las respuestas de una muestra integrada por 899 estudiantes de Educación Secundaria Obligatoria. Los resultados del análisis de regresión realizado indican que cuanto más tiempo dedican los alumnos a la realización de las tareas escolares, cuanto más motivados intrínsecamente se encuentren y mejor gestionen esa motivación, cuanto mejor aprovechen el tiempo que dedican a esas tareas, y cuanto menos ansiedad muestran ante ellas, más cantidad de las mismas realizan. Being the teachers responsible for the preparation, the assignation and the monitor of homework, is crucial for them to know the impact of this instructive tool in students behavior and achievement. Thus, the current research paper presents a synthesis of the indings on the major variables of homework (e.g., frequency, purposes, choice and individualization) which could inluence the eficacy of homework either positively or negatively. This synthesis aims to analyze the characteristics of a homework of quality. Guidance for teachers to improve their homework practices is offered, namely in relation to planning (e.g., quantity of homework) and monitoring of homework (e.g., control of homework done and feedback). In spite of the vast amount of literature on homework, the study of the teachers role in the process of homework is limited. Suggestions to empower teachers role on the homework process are discussed. Sendo o professor o principal responsável por preparar, marcar e monitorizar os trabalhos para casa (TPC) é fulcral que este conheça o impacto desta ferramenta instrutiva nos comportamentos e rendimento dos alunos. Assim, este trabalho apresenta uma síntese dos resultados das investigações conduzidas sobre as principais variáveis do TPC (e.g., frequência, propósitos, grau de escolha e individualização) que podem inluenciar a eicácia do TPC de forma positiva e negativa. A partir desta sumarização pretende-se analisar as características de um TPC de qualidade. Em consequência são apresentadas algumas orientações para melhorar as práticas de TPC dos professores, nomeadamente no que concerne ao planeamento (e.g., quantidade de TPC) e monitorização do TPC (e.g., controlo da realização e feedback). Apesar do vasto corpo de investigação sobre o TPC, o estudo do papel do professor no processo de TPC é ainda escasso. Deste modo terminamos este trabalho com algumas sugestões para colmatar esta lacuna neste domínio de investigação. There are numerous benefits homework can bring to students, as it allows them to prepare for tests, create schedules and develop study skills. This indicates a direct connection between studying and doing homework. Since studying has an important role in learning, it is imperative to understand how to intervene in this area by examining study conceptions and the role of homework in the process of studying. 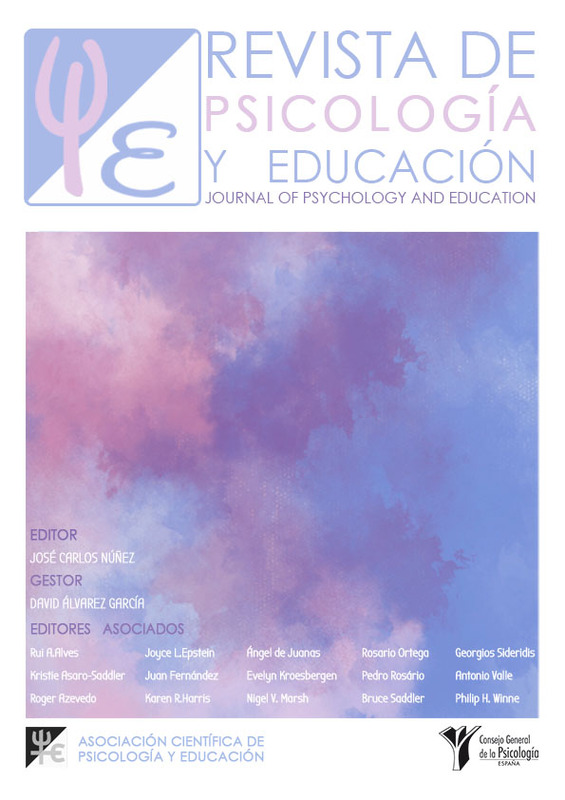 Thus, the aim of this study is to understand how students describe their study activity, their perception of the ideal study technique and the contribution of homework in those conceptions. Results indicated a conception of studying primarily as the techniques used by students as they study in real time, which is a more elaborated conception regarding the ideal type of study and the description of homework while studying, without the true potential of this tool. Results indicate the need for more intervention in this area. Os trabalhos para casa (TPC) apresentam vários benefícios, como, permitirem estudar para os testes, criar um horário e competências de estudo - o que indica a existência duma relação entre TPC e estudar. Dada a importância que estudar pode desempenhar na consolidação das aprendizagens, um olhar sobre as conceções de estudo e sobre o papel dos TPC no estudo, pode ajudar a compreender como intervir na promoção destas tarefas. O objetivo é compreender como os alunos descrevem a sua tarefa de estudo, e a que percecionam como ideal, e o papel dos TPC nestas descrições. Os resultados evidenciam a existência de uma conceção de estudo maioritariamente como técnicas e estratégias no estudo real, uma conceção mais elaborada no estudo ideal e uma descrição dos TPC no estudo, sem o verdadeiro potencial desta ferramenta. Os resultados exaltam a necessidade de mais investigação nesta área. Parental involvement in students education is nowadays a relevant issue in many studies and it should become a daily practice in our country. An international example of working for parental and community involvement in childrens education is the Center on School, Family and Community Partnerships at Johns Hopkins University. On that center they work since almost two decades with a lot of schools involving parents and community in the educational stage. Numerous studies have proved that parental involvement has positive effects in students academic achievement and that is the main objective of these practices that promote family involvement, achieve students academic success. La implicación parental en la educación de los hijos es un tema que despierta mucho interés en la investigación y que debería convertirse en una práctica global en nuestro país. Un ejemplo a nivel internacional de trabajo por la implicación familiar y de la comunidad en la educación es el Center on School, Family and Community Partnerships de la Universidad Johns Hopkins. Allí trabajan desde hace casi dos décadas con numerosos centros educativos implicando a las familias y a la comunidad en la realidad escolar. Se ha comprobado en múltiples investigaciones que la implicación parental tiene efectos muy positivos en el rendimiento académico de los alumnos y éste es el objetivo último de quienes trabajan promoviendo este tipo de implicación, lograr el éxito académico de los estudiantes.